Join thousands of satisfied clients who've enjoyed the most professional, engaging and memorable closing experience in South Florida since 1995. Does Your Overall "Closing Experience" Matter To You? Besides our competitive rates, flexible e-services, and state-of-the-art 24/7 secure online communication platform, the true value we deliver is going above and beyond to create a "closing experience”. "The closing is the most important part of the transaction and our #1 goal is to provide you with an overall feel-good experience and for you to walk away from the closing table with a positive, long-lasting memory." - Ryan Phillips, V.P. How About The Security Of Your Personal Data? We are also committed to transparency and security throughout the entire closing process. "We maintain processes and procedures to keep your NPI (non public information) secure, we implement all of the Best Practices set forth by ALTA (American Land Title Association) and we adhere to all the rules set forth by the CFPB (Consumer Financial Protection Bureau)." - Ryan Phillips, V.P. "You can rest assured by choosing Title Partners of South Florida to insure your property's title and manage your real estate closing, you will be in competent and secure hands." - Ryan Phillips, V.P. Don't take our word for it, here's what our customers have to say! Just a couple of days ago we bought our first home. We worked with Superior Lending and Title Partners of South Florida. Julie, Lizette and Ryan from Title Partners were all awesome. They answered all of our questions and really made the process alot smoother. Lizette was my point of contact and she was on top of it. Our contract called for a pretty quick close and they were able to handle all deadlines. Very professional and responsive. We will certainly use their services again in the future. Title Partners managed and completed the closing of the sale of my Mom's townhouse/villa in Plantation efficiently and professionally. Julie did a great job of keeping the pre-closing process moving along, dealing with a lot of last-minute challenges, getting it all done on time without delay and kept me regularly informed of what we going on. Ryan has complete knowledge of the closing process and handled it with aplomb. What are the most important factors to you when choosing a Florida title insurance company? These are all very important factors to consider when choosing a title company to handle your personal information, transfer title and complete your real estate closing. We invite you to visit our About Us page to learn more about our mission, vision, employees, processes and company values. If you haven’t already, you can read a few of our Google reviews or visit our Facebook page to check out pictures and more reviews of our recent closings. Find out why over 200 people have rated our title insurance and closing services 5 out of 5 stars on Google! We hope you will be the next person to share your experience! Have you considered the overall experience you will receive? The title company's process can generally take anywhere from 2 - 6 weeks, depending if it's a cash or financed transaction - or if there are any title issues. This can seem like an eternity when waiting for your closing. Communication from the title company is key during this process to make you feel at ease and engaged. At Title Partners of South Florida we strive to provide you with the most professional, engaging and memorable experience from beginning to end of your home closing at a very competitive price. But don’t take our word for it, read our reviews on Google, Facebook, or Yelp. We hope you will feel confident based on our past clients' reviews that we will provide you with the best experience in the industry. Click here to request a free, no obligation title insurance quote online. Would you like to learn more about Title Insurance or the Closing Process? Check out our Title Questions and Answers page to view the answers to frequently asked questions -or- you can download our Homebuyer’s Closing Information Guide for a more detailed breakdown of title insurance and the closing process. Choosing the right title insurance company can make all the difference. Besides facilitating the closing and issuing a title insurance policy, one of the most important jobs of a Florida title insurance company is to run a county title search and clear title before closing, to eliminate the possibility of you having to make a claim on the title insurance policy after closing, incur any hardship or possibly even lose your home! Title Partners of South Florida, Inc is a Florida title insurance company established in 1995, trusted by thousands of buyers, sellers, realtors and lenders, and backed by two of the largest title insurance underwriters in the nation. We are located in Fort Lauderdale, Florida and proudly serve Broward County as well as the entire state of Florida - for clients located worldwide. Are you interested in saving trees? We plant at least one tree for each closing to do our part in helping with all of the paper our industry wastes as a whole. 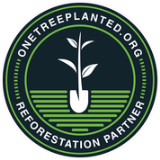 Help us help the environment and support reforestation!